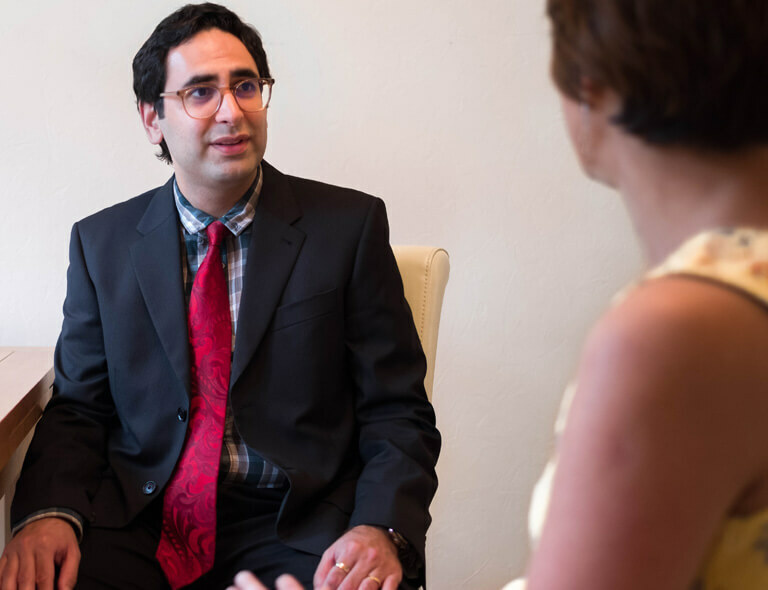 For many people the initial assessment with 1-3 follow therapy sessions may be enough to help them overcome the problems caused by their tinnitus, hyperacusis or misophonia. For people experiencing severe symptoms treatment may take between 6 to 12 sessions. Our approach is very flexible and dynamic way of reducing tinnitus/hyperacusis/misophonia distress. The aim of the therapy is to learn alternative ways of cognitively reacting to tinnitus and certain sounds (in the case of hyperacusis and misophonia) which will modify the emotional disturbance caused by them. This makes it possible for tinnitus percept to fade away to the background and the loudness and/or intrusiveness of the external noises (in the case o hyperacusis and misophonia) to subside. Assessing the relationship between your tinnitus/hyperacusis/misophonia-distress with hearing impairment. If there is a need for hearing aid evaluation, you will be given clear guidance and detailed information on what to do next. Assessing the relationship between your tinnitus/hyperacusis/misophonia-distress with health anxiety, social anxiety, obsessive compulsive disorder, general worry, and panic disorder. If there is a need for you to see appropriate mental health professionals alongside your therapy for tinnitus/hyperacusis/misophonia, this will be facilitated for you. You will be given detailed information about the underlying mechanism for you tinnitus/hyperacusis/misophonia-related distress and how to minimise the distress you experiencing. All patients will receive a comprehensive treatment progress report which summarises the components of the therapy and recommendations for future. 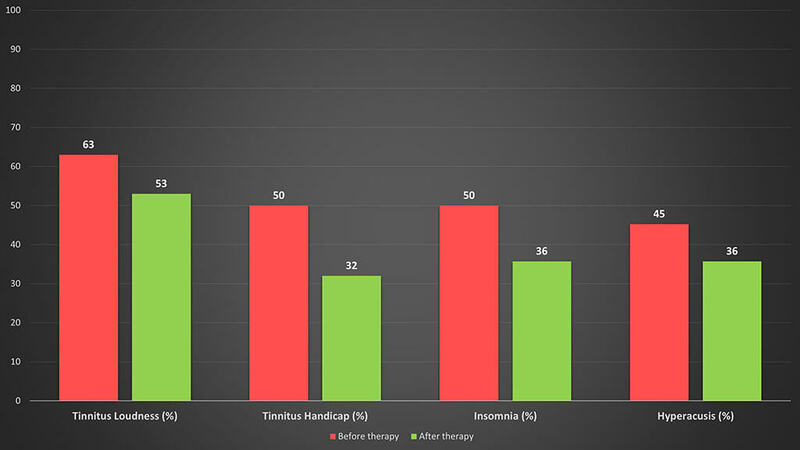 Results of a recent service evaluation conducted by Dr. Aazh’s tinnitus team on over 500 patients illustrates the change in average of tinnitus loudness, tinnitus handicap, insomnia and hyperacusis handicap. All the changes were statistically significant. There were also considerable improvements in tinnitus-related anxiety and depression symptoms. 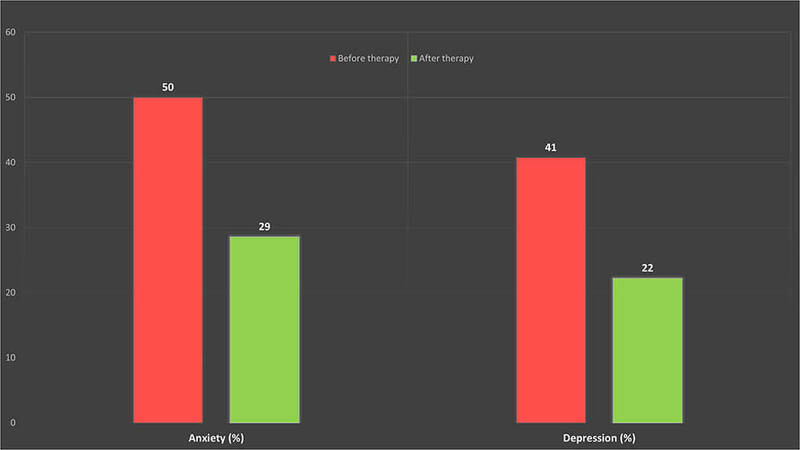 All the changes were statistically significant indicating that the anxiety and depression symptoms in this population were likely to be associated with tinnitus/ hyperacusis/misophonia hence a specialised CBT focused on minimising tinnitus/ hyperacusis/misophonia-related distress have led to improvements in anxiety and depression measures. The Table below summarises before- and after-treatment average scores on the questionnaires assessing anxiety disorders which are typically prevalent among people who experience tinnitus and/or hyperacusis/misophonia-related distress. The tinnitus team has made recommendations for onward referrals for further psychological/psychiatric evaluations and treatment to the general practitioners (GP) of all the patients who exhibited abnormal scores on the questionnaires listed below. Most patients who exhibited abnormal scores on these questionnaires had already received some form of treatment for their anxiety disorders via GP or mental health services prior to being referred for tinnitus and/hyperacusis management. Improvements in the measures of “general”, “social”, and “health” anxieties were statistically significant which highlights that such symptoms in this population were likely to be associated with the experience of tinnitus/hyperacusis/misophonia hence a specialised CBT focused on minimising tinnitus and/or hyperacusis/misophonia-related distress helped. It is worth mentioning that all patients with abnormal scores on the psychological questionnaires were referred to mental health services via their GP for further evaluation and treatment if needed. However, the changes in the measures of OCD and panic disorder were not statistically significant. This suggests that it is unlikely that symptoms of OCD and panic disorders to be related to tinnitus and/or hyperacusis, therefore more specialised interventions by appropriate mental health professionals are needed. To read the research report with regard to those who need onward referral to psychological services see “the screening questionnaires for tinnitus and/or hyperacusis” study conducted by Dr. Aazh’s team in collaboration with the University of Cambridge, Department of Experimental Psychology. In collaborative work, Dr. Aazh and his psychologist colleagues published a protocol for audiologist-delivered CBT for hyperacusis rehabilitation. More recent studies published by Dr. Aazh’s team in the International Journal of Audiology and the American Journal of Audiology evaluated the feasibility and clinical effectiveness of CBT specialised on tinnitus/hyperacusis/misophonia rehabilitation. These studies reported “medium” and “large” treatment effect sizes (ES). The ES’s were 1.13 for tinnitus handicap inventory scores, 0.76 for hyperacusis questionnaire scores, 0.71, 0.95 and 0.93 for tinnitus loudness, annoyance and effect on life, respectively, measured using the visual analogue scale, and 0.94 for the insomnia severity index score. Dr. Aazh’s studies conclude that audiologist-delivered CBT led to significant improvements in self-report measures of tinnitus and hyperacusis handicap and insomnia.